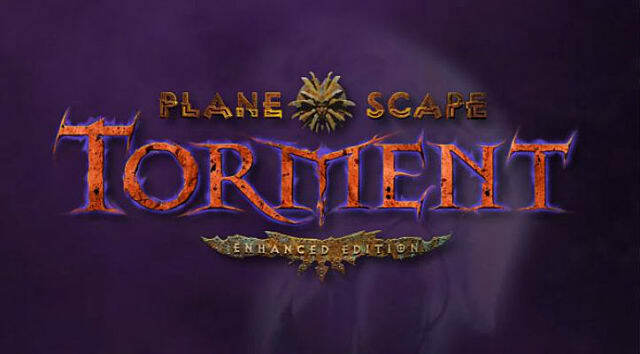 I maintain to this day that Planescape: Torment is still, bar none, the best RPG to have ever been released. It's certainly the best written, with the most interesting characters and story this side of the multiverse. More modern quasi-RPGs like Skyrim don't even hold a candle to Black Isle's crowning achievement. A succubus who runs a brothel where only intellectual lusts are sated, a suit of armor animated through unwavering belief in the force of law, a psychotic wizard who tried to burn down a city and was punished by becoming a human lamp for a dingy bar: Torment always had something unique up its sleeve that made you keep playing hour after hour. Considering my borderline-worshipful level of adoration for Torment and overall love for the Planescape setting in general, you'd think I'd be stoked about a whole new version of the game arriving... right? Well, maybe not, because we've got to consider who is doing the releasing and just what exactly was changed. 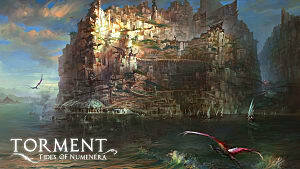 Torment isn't Beamdog's first enhancement rodeo, having released updated versions of nearly all the Infinity Engine games now, to varying results. The Baldur's Gate saga for instance got some tweaks that actually improved on an aging engine like allowing more arrows to be stacked together than in the original, updating certain AD&D rules to be more clear and less frustrating, and adding new companions. Not all the changes were welcome, however. Baldur's Gate Enhanced Edition swapped out the opening cutscene of Sarevok throwing a fellow Bhaalspawn off a roof, with something that actually looked worse than a 20 year old cinematic (and THAT takes effort). 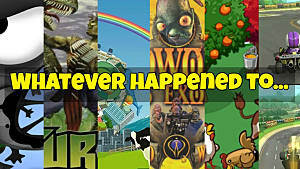 Many new bugs were added into the engine as well, with a lot more crashes, and the changes overall weren't much better than the huge number of fan mods released throughout the years. 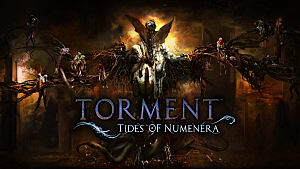 Offering even fewer changes and upgrades this time around than ever before, Torment is is the most blatantly half-baked Enhanced Edition yet with such a minimum of effort applied that it's sort of appalling Beamdog is actually charging money for the end result. The main difference on display is a suite of visual "enhancements," which if you've played the other Enhanced Editions, you'll know won't actually be upgrades. The entirely unnecessary zoom feature -- rather than allowing for screen resolution changes in the options -- results in a visual experience that's somehow even lower quality than the original 18 year old game. You'll be endlessly zooming in and out to find the right setting for any given map, when the original areas managed to look just fine without this distracting feature. The black pixels added around sprites further manage to make characters look even more jagged than they did originally. The new quick looting feature is neat however -- especially when dealing with lots of corpses on the ground all in a small area -- and some of the UI is a little less cluttered, but on the whole there's nothing here that hasn't been done already by fan modders, with the possible exception of now having Torment available on your Android device. What's truly baffling is what isn't included in this new edition: like the fan-made Unfinished Business mod that restored missing quest lines and re-implemented cut dialog. If you're going to give us a new edition of the game with reams of text re-edited by Chris Avellone, why not add in things we haven't seen or read before? On the other hand, it may actually be better that they didn't add anything new. We weren't exactly thrilled here at Gameskinny with Beamdog's original content in the SIege Of Dragonspear offering, and it seems like the rest of the gaming world wasn't having any of it either. While nostalgia was on tap by the bucketful and there was fun to be had for Baldur's Gate fanatics, the writing just wasn't up to par. Simply put, Siege Of Dragonspear offered the mechanics of Baldur's Gate without the soul, and it seems unlikely this team could have given us characters or stories up to snuff that would match the oddity and style of Torment. The lazy Enhanced Editions, much like the sub-par PC ports of classic Final Fantasy games, is only one symptom of a franchise that feels like it's on its last legs. A disturbing lack of effort has been a recurring problem of late with Dungeons and Dragons branded games. 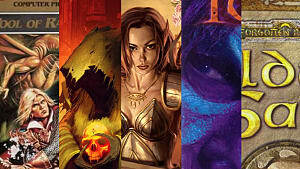 Frankly, it feels like Wizard of the Coast has just given up and has no interest in creating compelling stories or captivating games anymore, instead giving us shallow drek like Sword Coast Legends and an endless stream of re-releases. Of particular concern is that these new Enhanced Editions are now replacing the originals rather than being an available option. Seriously, navigate over to Steam or GOG and search for Baldur's Gate. Guess what? You can't buy the superior original versions anymore -- only the Enhanced Editions are up for sale. Unless you bought the original editions previously on digital platforms or have the discs from way back when, it's now becoming next to impossible to experience the games as they were released. Somehow it's been 11 years since the last legitimately worthwhile D&D game! Having now artlessly vivisected the corpses of several truly classic games, and having even released an Infinity Engine expansion set between Baldur's Gate and Baldur's Gate II, the question has to be asked: why not create an entirely new game? 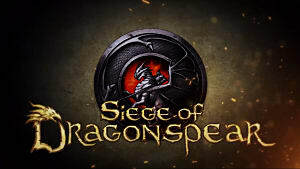 Siege Of Dragonspear may not have been well received, but lessons can be learned there to improve on future releases, so why keep making minor tweaks to existing games as a business model rather than actually creating content? There's gamers out there who want old school titles, and they are willing to pay for them. 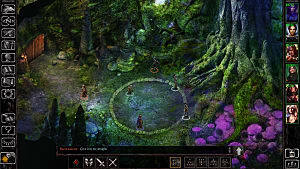 Plenty of developers are keeping the lights on solely by releasing new material in classic cRPG style and without just making small changes to existing games. Underrail immediately springs to mind, having resurrected the original Fallout style to critical acclaim and with a small indie team on a limited budget. Age Of Decadence is as retro as they come and is consistently covered in praise. 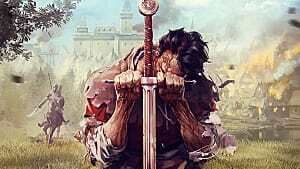 Divinity: Original Sin met wild success utilizing an exclusively old-school formula. I Am Setsuna was essentially an updated SNES RPG and it was among the most anticipated games of 2016. 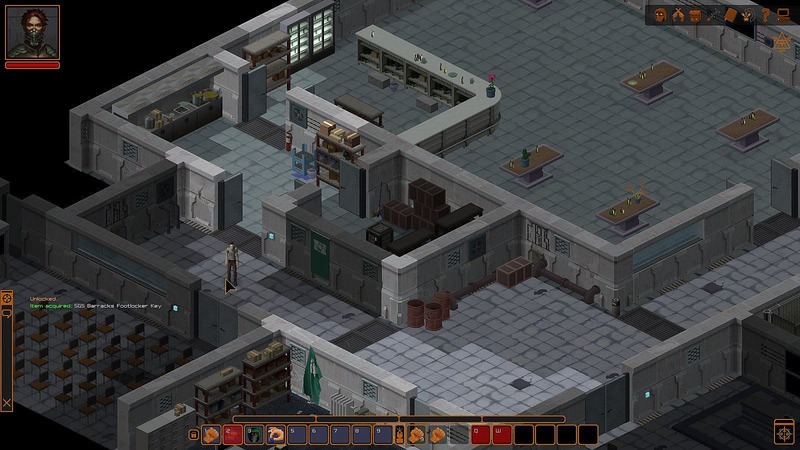 Obsidian and inXile figured out crowd funding could result in classic games being profitable, with Pillars Of Eternity and Tyranny directly mimicking the Infinity Engine style and Wasteland 2 updating a 25 year old classic into a modern setting. 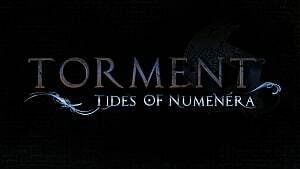 The Torment name and style itself was resurrected with the recently-released Tides Of Numenera. With Beamdog running out of Infinity Engine games to mildly mod and re-release, where else is there to go besides trying something original? Sound off below -- do you feel the Enhanced Edition of Torment is worth $19.99, and have you been satisfied with Beamdog's re-packaging of classic Infinity Engine games? For me, it's a hard pass on re-buying a game I already own with worse aesthetics and a handful of free mods pre-installed.